While Vermont Timber Works enjoys being able to build Timber Frames all over the country (and sometimes internationally! ), there’s something satisfying about building in your home state, for people who are your neighbors. Vermont is one of those unique places that just has an atmosphere about it. There is a different pace and rhythm to life here. It’s hard to describe, but if you’ve ever been here you know what we’re talking about. Vermont is a special place, and being a Vermont Company is something that we pride ourselves on. We’ve enjoyed being able to work with other Vermont Companies, Groups, and Organizations and to be able to build structures for them in a traditional, handcrafted way that helps enrich Vermont Communities, Landscapes, and Local Economies. Below, we’ve listed a few of the Vermont Projects that we have had the privilege of working on over the years. This isn’t a complete list of every Vermont project from our past, and hopefully, there will be many more in the future. The Billings Farm & Museum is a working dairy farm and early American museum in Woodstock, Vermont. 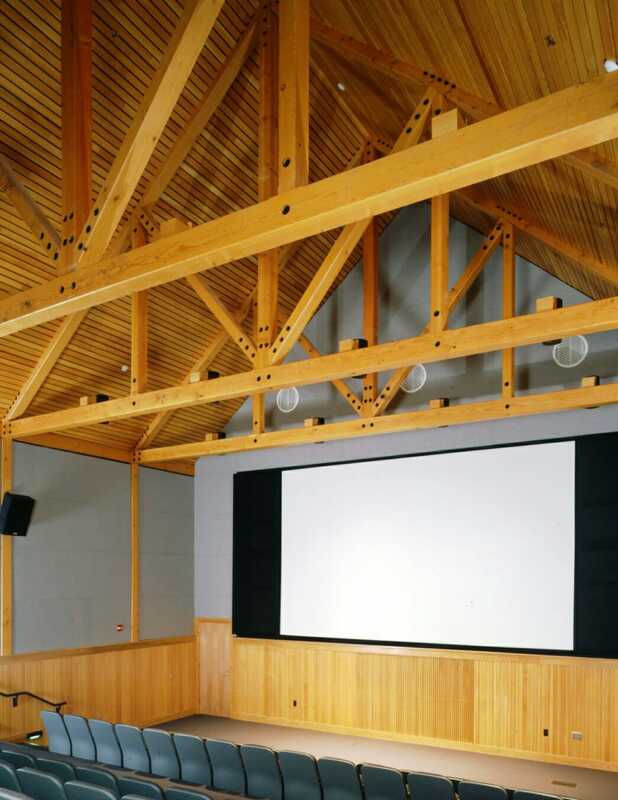 Vermont Timber Works constructed a timber frame theater and a timber frame entry for the museum. The entry was constructed with rough sawn hemlock beams that are traditionally joined. We worked with Smith-Alvarez-Sienkiewycz, Architects and construction manager H.P. Cummings on this project. The Billings Farm and Museum is a wonderful place where you can learn and witness the history of agriculture in the early 20th century in America, and specifically in Vermont. Agriculture and farming is still an important industry in Vermont to this day, and it’s important to have a museum available to preserve this part of the state’s history and heritage. It’s also a great place to visit with the prettiest cows in the state, who are also an important part of Vermont’s history and culture. The Southern Vermont Welcome Center is just past the Massachusetts border on Interstate 91 North. 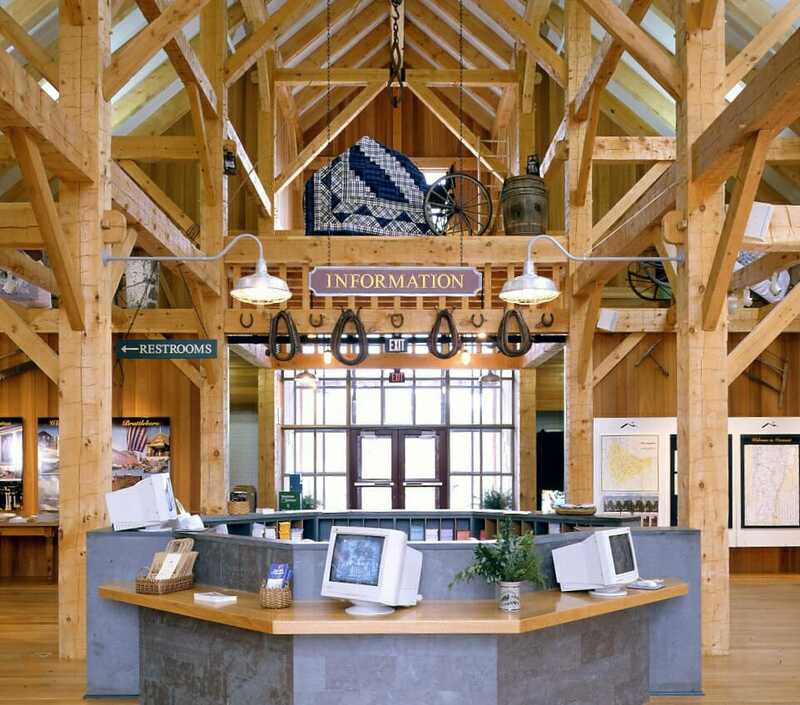 Vermont Timber Works built a custom timber frame with an old Vermont style barn for the welcome center. 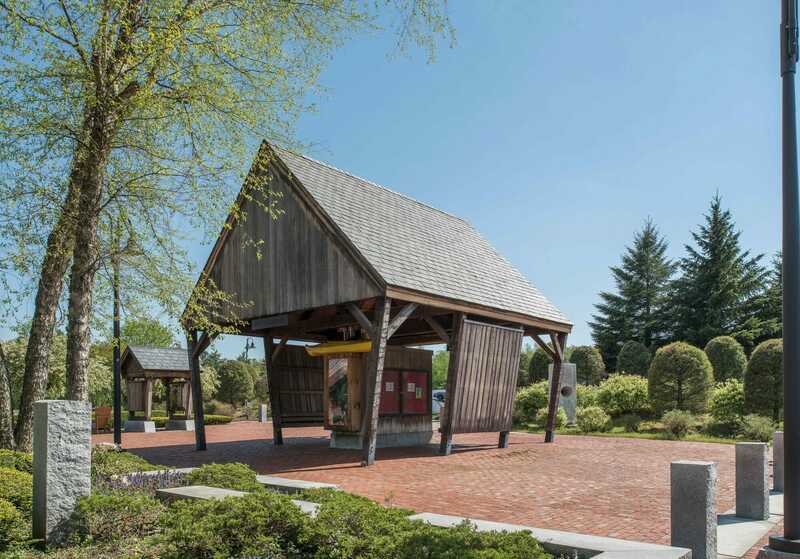 The project features the main welcome center barn, an information center shaped like a Vermont corn crib, and a wonderful open air picnic pavilion for visitors to enjoy. We worked with architect Jeff Goldstone and Tim Smith of Tim Smith & Associates, Dufresne-Henry Engineers, Neagley & Chase Construction and Munson Earthmoving on this project. The Welcome Center sits on a piece of land just off the highway, almost hidden from the sight of the road by a cluster of tall trees. 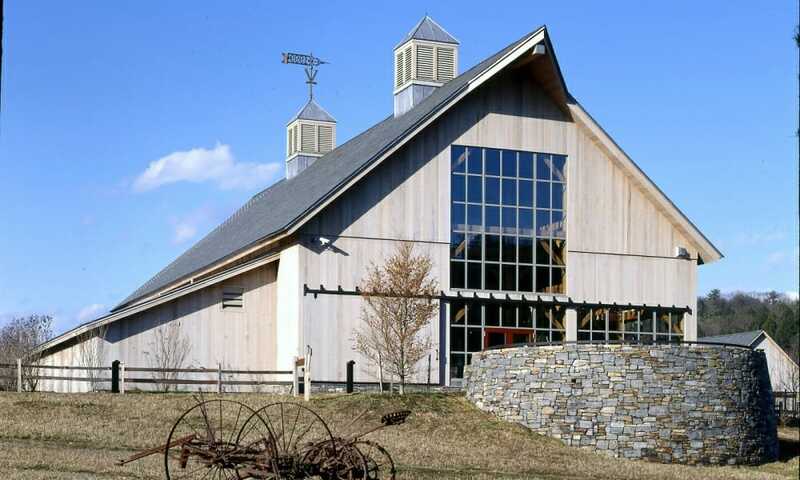 When you finally approach the barn style building, it looks much older than it is, evoking a vintage look and feel that feels very much like a traditional Vermont barn. 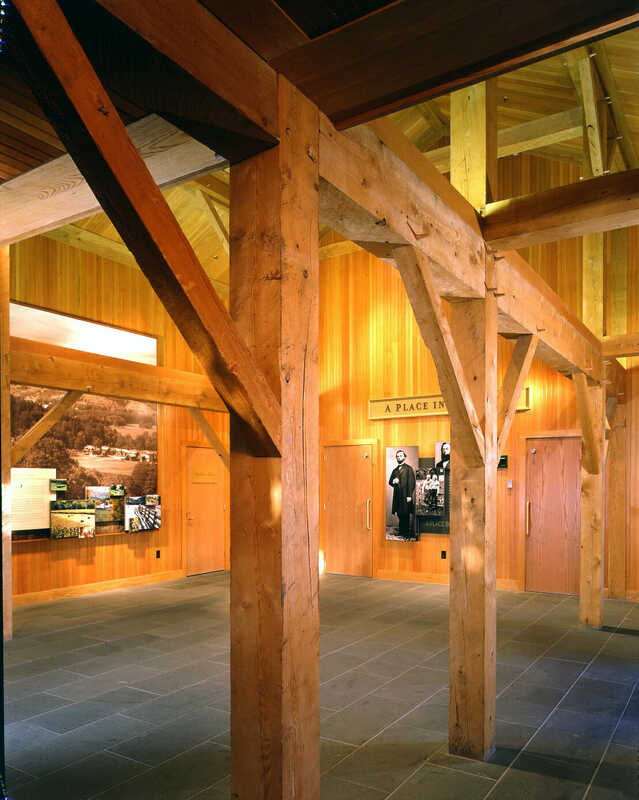 The interior of the building features beautiful hand hewn pine beams, which fit the antique, traditional feel of the welcome center. Inside, you can learn more about Vermont, including info about the history of many of the towns in the area. The welcome center is a wonderful place for visitors to stop and take a rest, and learn a little bit more about Vermont while enjoying the warmth and beauty of a traditionally handcrafted barn. 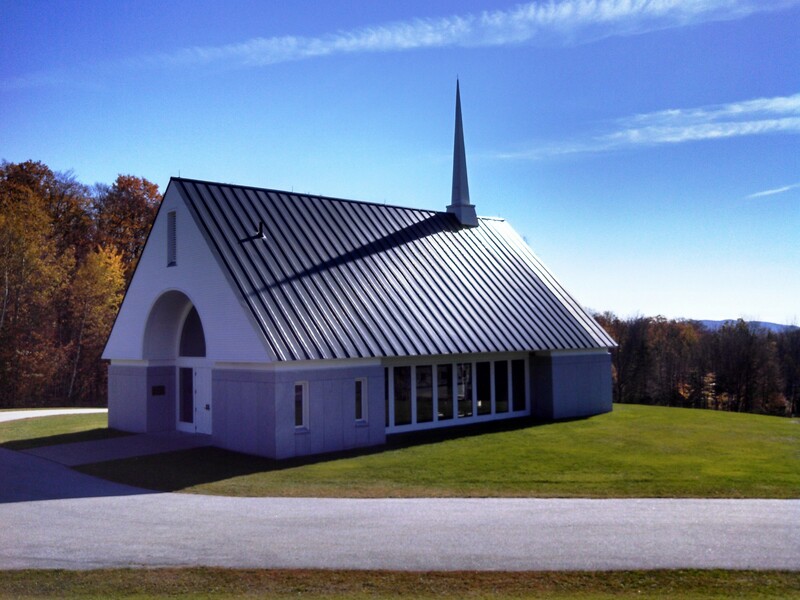 The Vermont Veterans Chapel is in Randolph, VT. Vermont Timber Works constructed a timber frame with an open-air design and space for sliding glass doors for the chapel. The frame features long central girder trusses that are reinforced with steel rods. The girder trusses are acting as principal purlins. 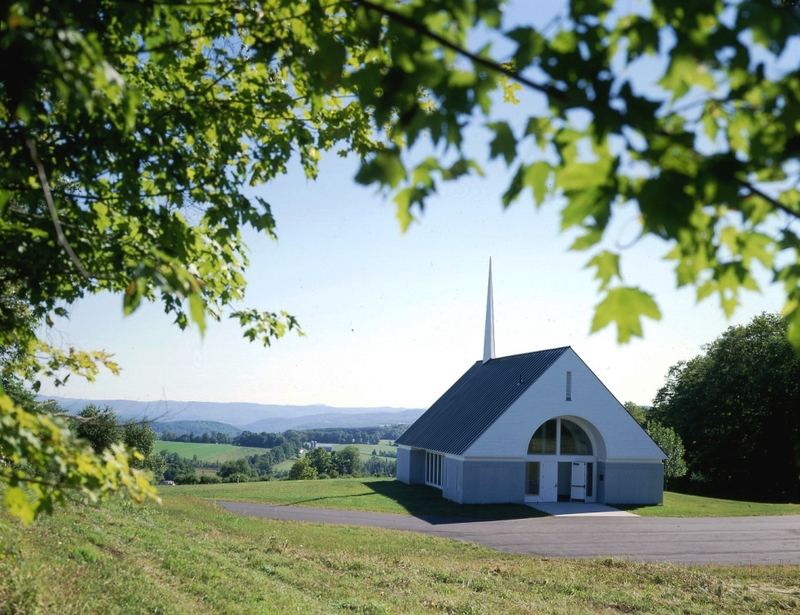 We worked with architect Marcel Beaudin, AIA, engineers Dufresne-Henry, Professional Construction Inc., and the State of Vermont on this lovely chapel. The Veterans Chapel is located in the Vermont Veterans Cemetery and is used for funeral services for the men and women of Vermont who have served in the armed forces. The Chapel and the Cemetery grounds are pristine and beautifully maintained, and the whole area has a very peaceful and serene feeling. We were happy to build a chapel that would serve such an especially significant purpose. It’s important to have a place that pays respect and honors the people from Vermont who have served, and we were honored to be a part of the project. Founders Lodge is at Stratton Mountain in Vermont. 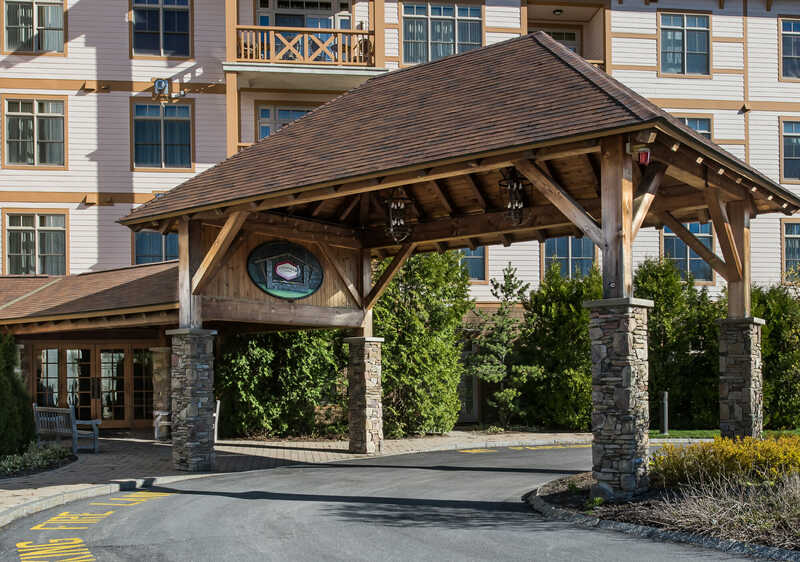 We constructed a timber frame for the lodge and a porte cochere. We worked with Lemay & Youkel Architect, Artisan Engineering and Pizzagalli Construction Inc on this project. 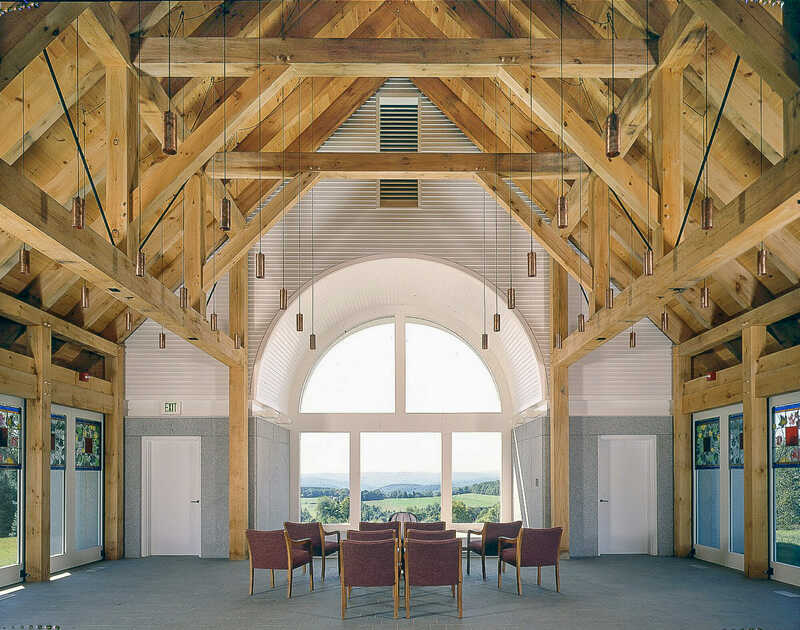 This frame was constructed using Douglas fir timbers and has an open-air design and stone pillars. Skiing is such an important part of the Vermont history and culture, as well as the tourist trade, and directly impacts our local economy. There’s such a feeling of heritage associated with a Vermont Ski Lodge and we love building them for this reason. Lodges also generally call for that traditional architecture style that is strongly associated with VT and that makes them even more special. 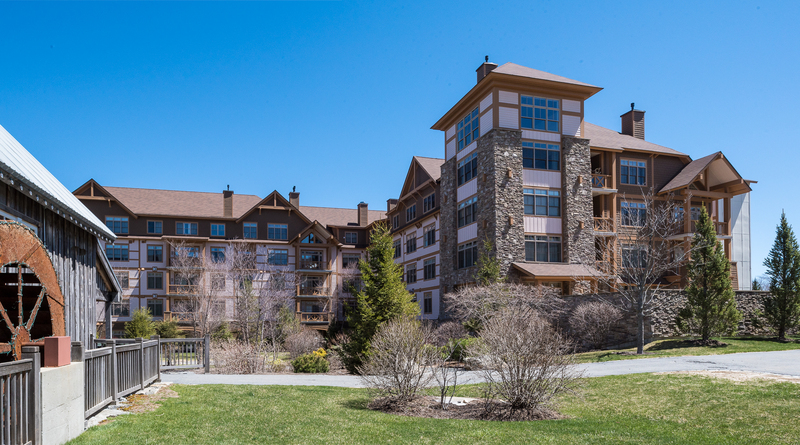 Founders Lodge is one building in the expansive ski resort of Stratton Mountain, and we are proud that we were able to contribute a Lodge and to make our mark on the mountain in a beautiful Vermont ski resort. At Vermont Timber Works, we enjoy working on projects that make our home state more beautiful, successful and welcoming for the people who visit and for our neighbors who live here.